Please note! Stone colours will vary on different computer screens. 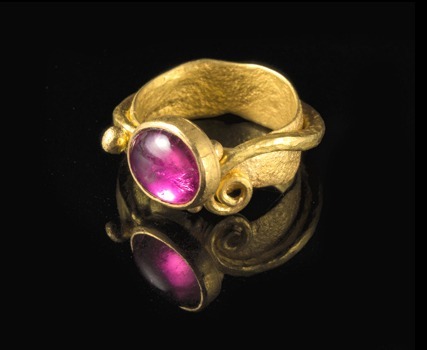 This high quality, rich, pink tourmaline is set in a vine scroll on a melted shank.